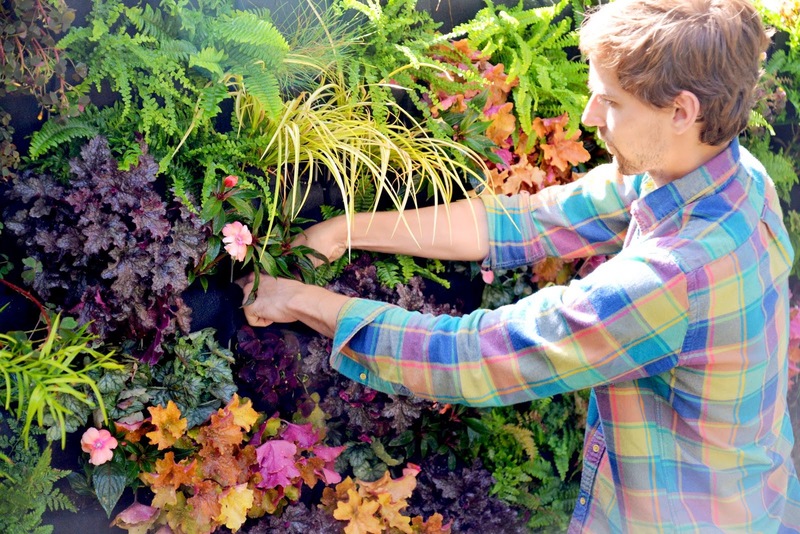 Designer Brandon Pruett of Living Green creates a vertical garden masterpiece with shade-loving corral bells, ferns and grasses with the Florafaelt vertical garden system. He chose colors that added a vibrant and exciting touch to this Pacific Heights home in San Francisco. 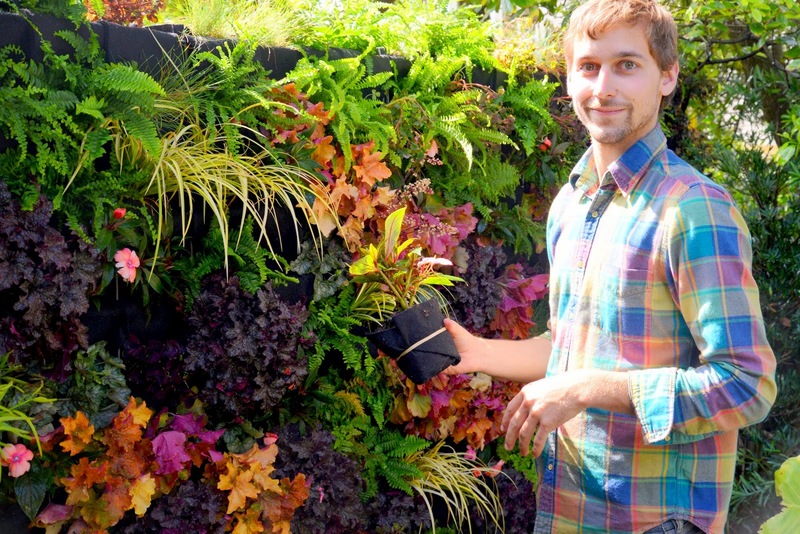 Florafelt Vertical Garden Planters are used to create a beautiful recirculating living wall for the San Francisco Bay Aquarium. 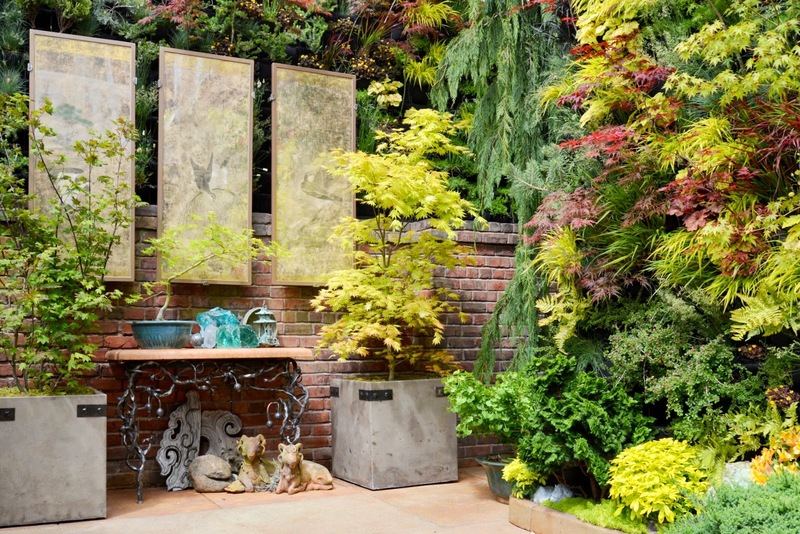 Davis Dalbok of San Francisco's over-the-top garden design group Living Green created a stunning masterpiece for the 2013 Decorators Showcase. Entitled 'Birds Of Prey' the walls were filled with grasses, conifers, and Maples to frame fine Japanese works of art also displayed in the outdoor courtyard. 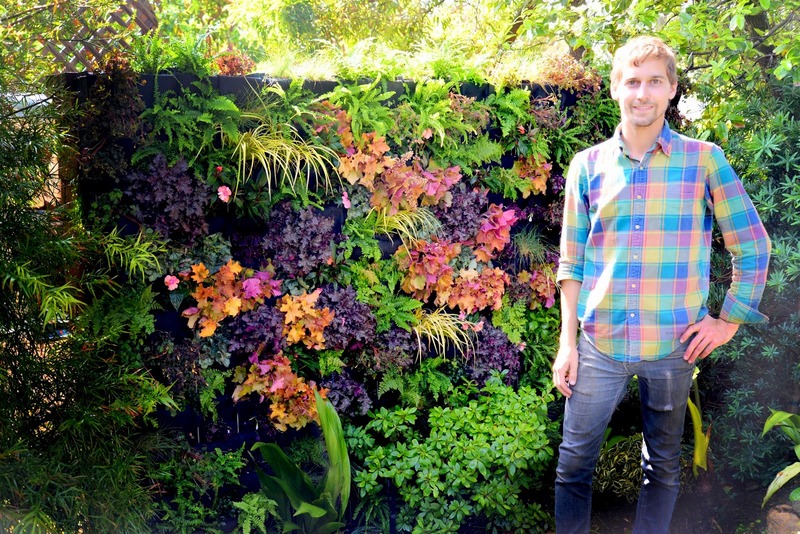 Dalbok and team worked closely with Chris Bribach of Plants On Walls to incorporate his Florafelt vertical garden system. The space create a 'living room' as well as a partition to screen the neighbors. 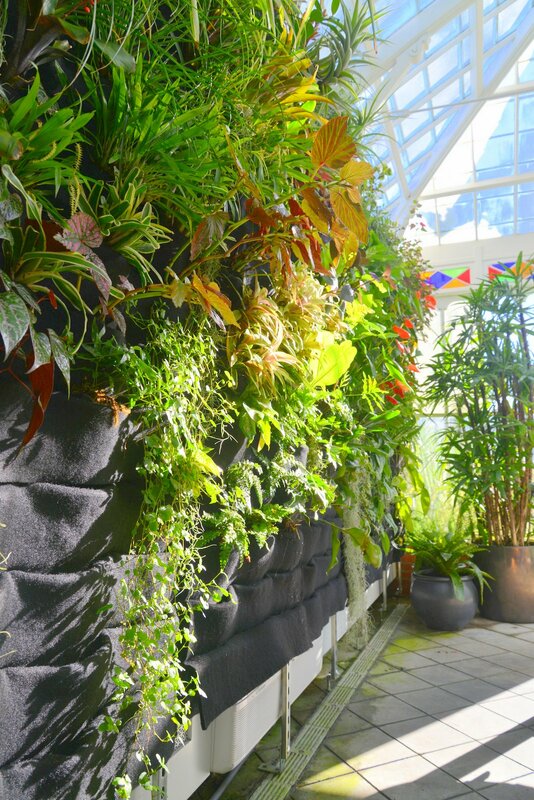 A dazzling array of exotic tropicals cover a wall at the entrance to San Francisco's Conservatory of Flowers in Golden Gate Park. Guadalupe Cota, Senior Nursery Specialist, selects and places each plant as they become available, and the Florafelt Vertical Garden system gives her the flexibility to slowly build the perfect garden according to availability and aesthetic design. After 6 months, nearly 2/3rds of the pockets have been filled, and the plants have shown significant growth . The planters are hung from steel struts by s-hooks and are watered and fed by a digital hose timer and pressure feeder. 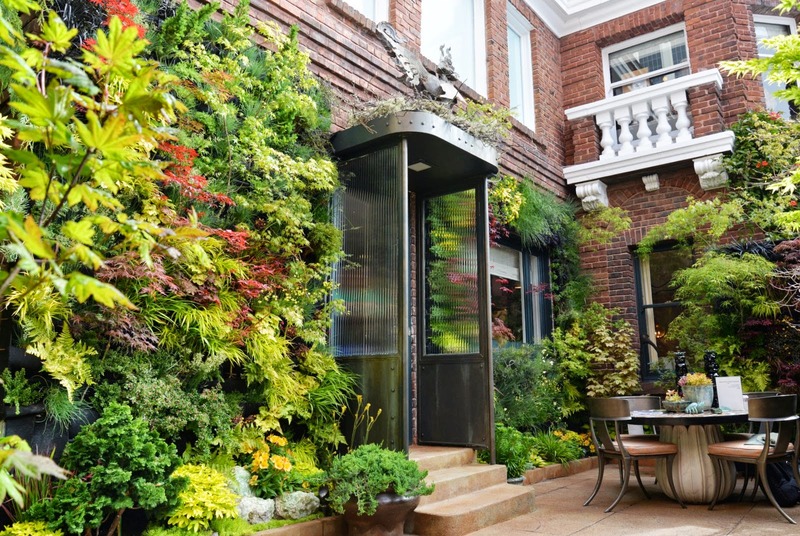 The Florafelt Vertical Garden Planters were donated to this San Francisco institution by Chris Bribach of Plants On Walls. it is located in the front entrance, and offers visitors a welcome bursting with color and intrigue. 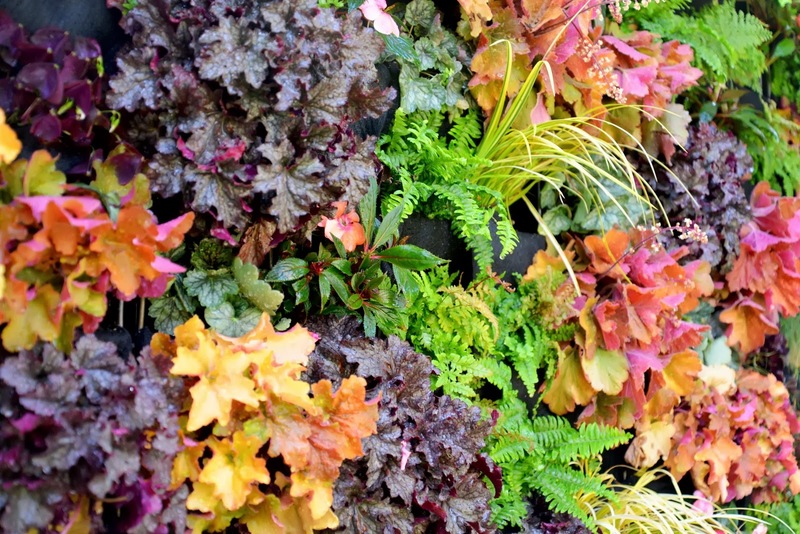 After 6 months, the vertical garden at 100 Pine Street in Downtown San Francisco has developed a rich depth of color and texture. 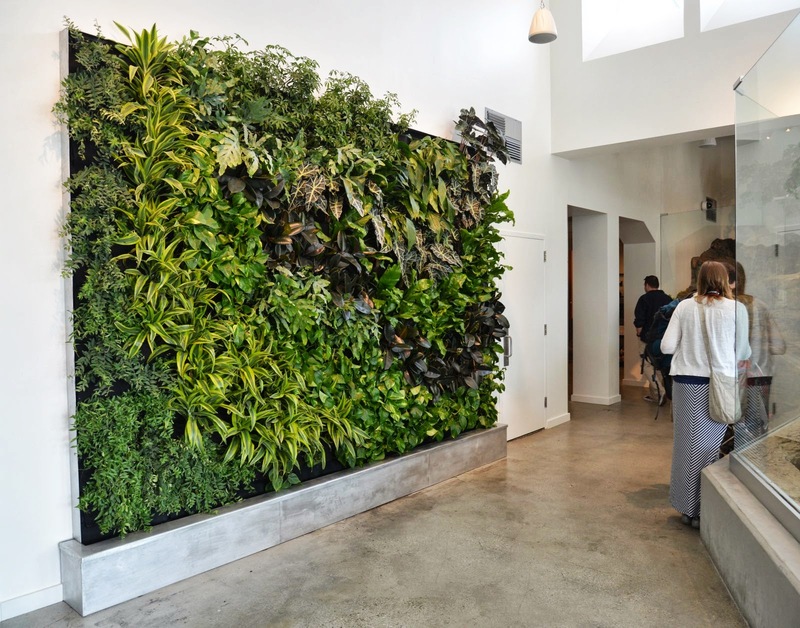 Designed by Chris Bribach of Plants On Walls for CBRE office towers. The blue star ferns have emerged, while the bird nest, mother, and leather ferns push to the front of the ficus decora, giving 3-dimensional structure to the composition.